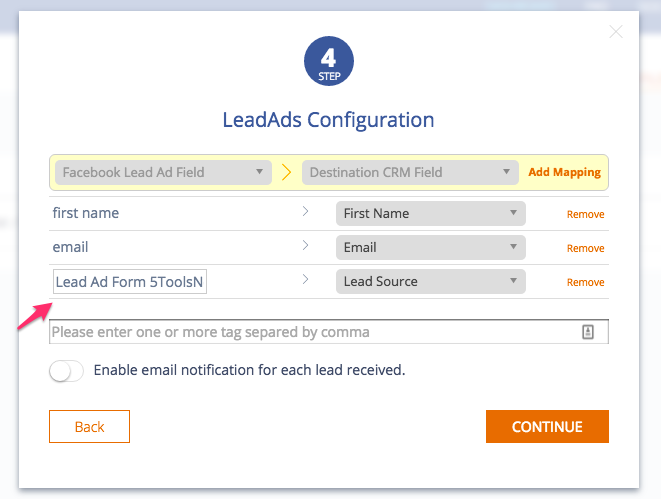 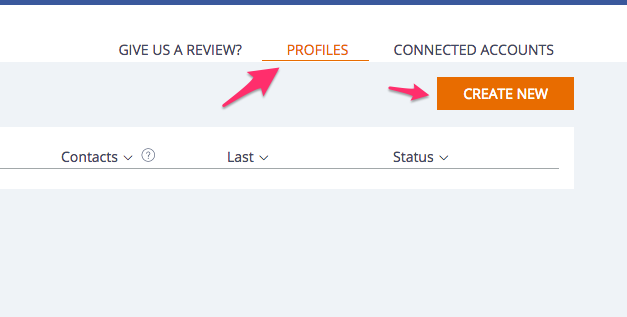 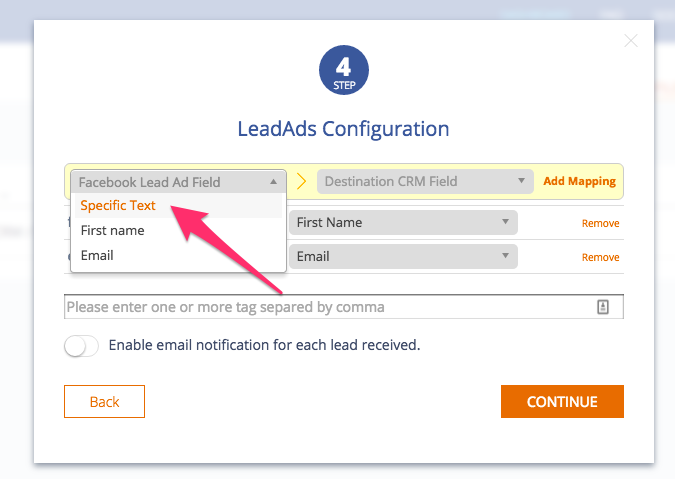 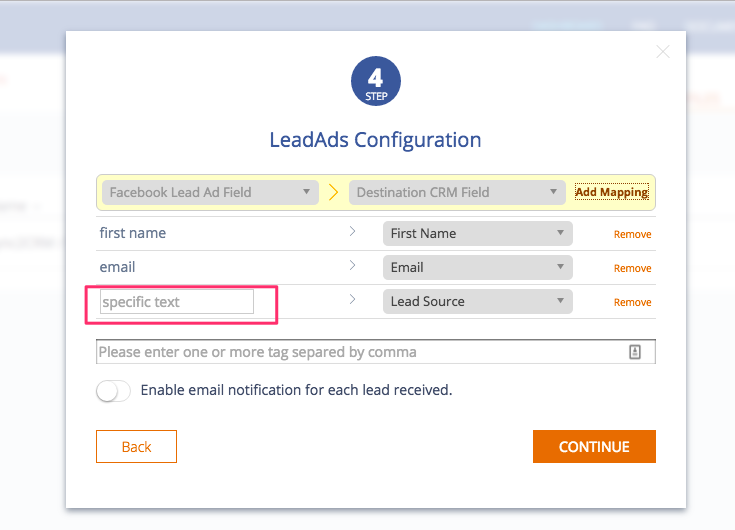 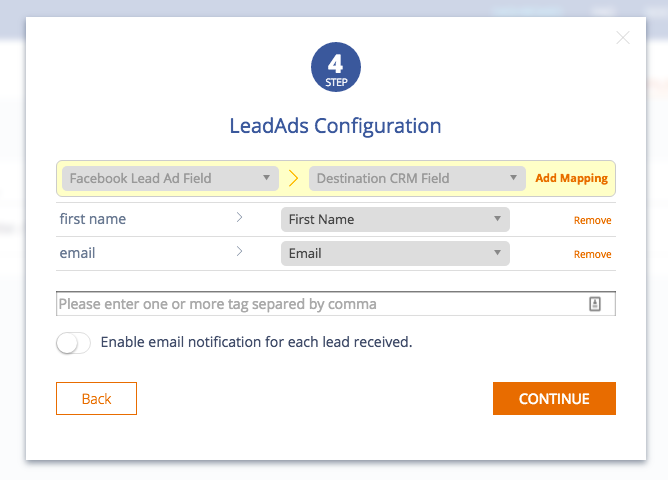 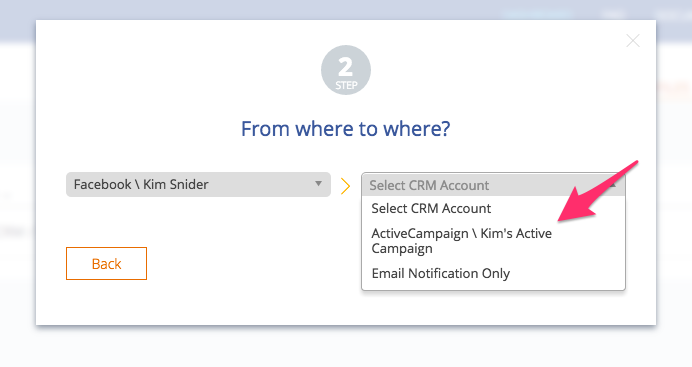 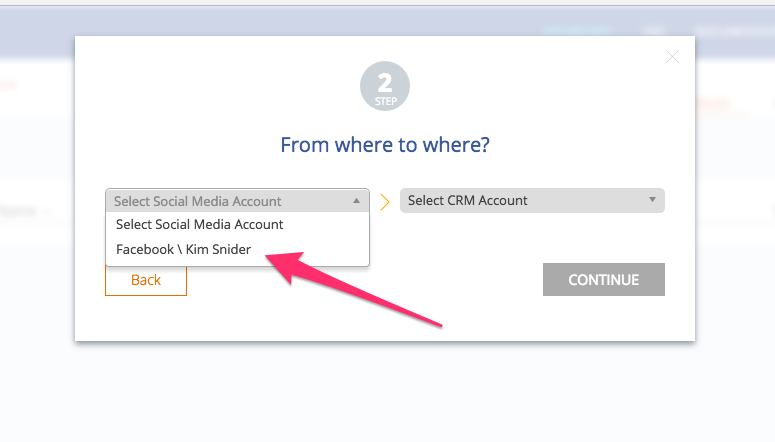 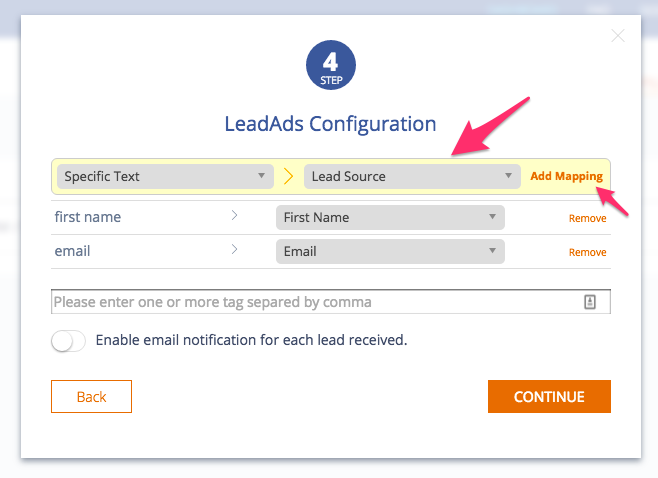 In addition to the values from your Facebook Lead Ad form, you can also add hard-coded values to any field in your CRM. 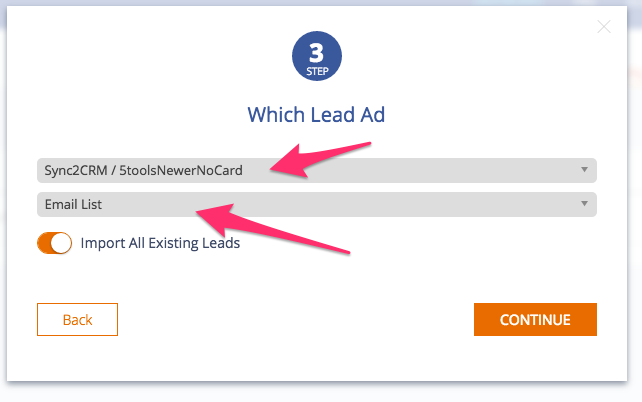 This is useful when, for example, you might want to hard-code the name of the Lead Ad in the Lead Source field for tracking purposes. 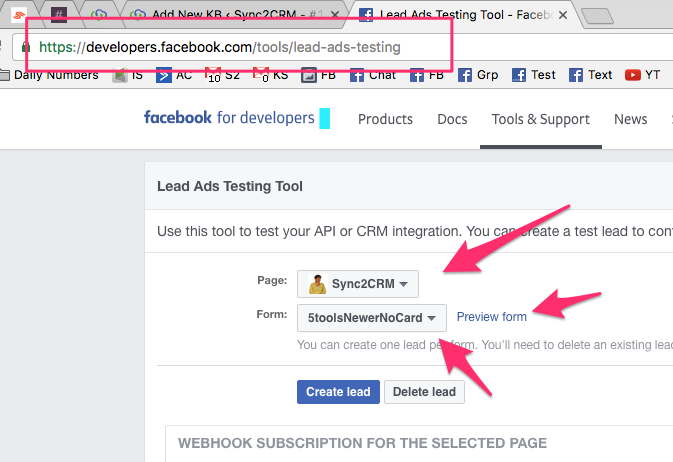 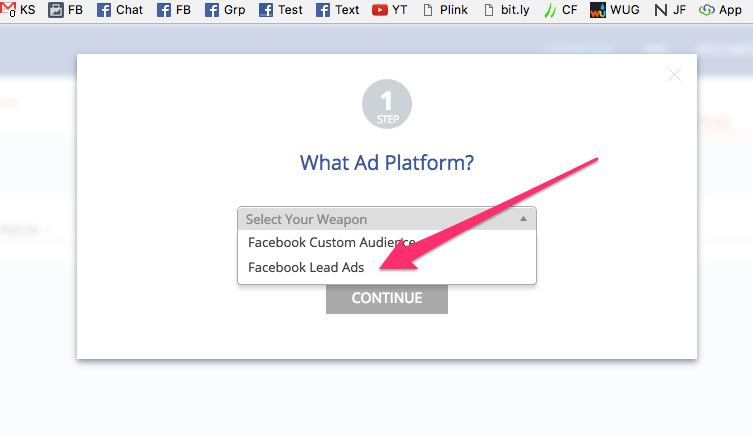 12 – You can test your Facebook Lead Ad by going here. 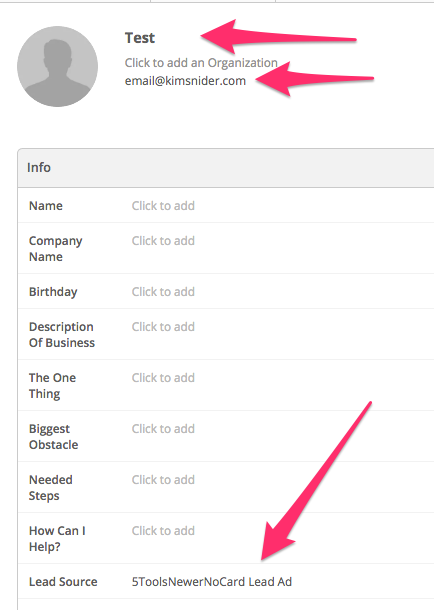 Select the Page and Form. 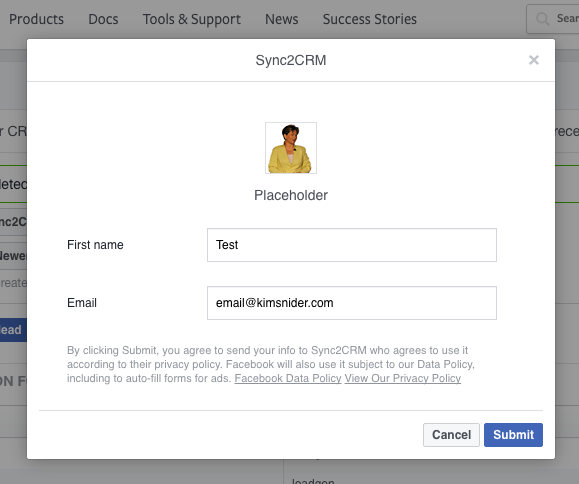 Click ‘Preview Form’.